Dry Tortugas National Park is definitely one of the birding highlights in the United States. With a nesting seabird colony containing more than 100,000 Sooty Terns and 20,000 Brown Noddies the amount of birds is simply amazing. If birds don't interest you there is always the amazing variety of colorful fish and rare turtles that can be seen while snorkeling. And still after exploring all of the natural world on the island there is the huge fort that takes up the entire island left to explore. The seabird colony is the most amazing bird spectacle that I have seen. While scanning the island where the birds nest one can only wonder what it would be like to be in the middle of the colony. This is the only place in the United States where Sooty and Bridled Terns, Brown Noddies, and Brown and Masked Boobies are seen with regularity. 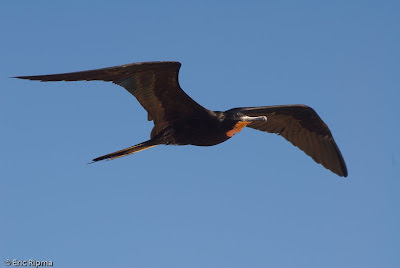 Magnificent Frigatebirds also nest close by and soar over the fort throughout the day. While standing on top of the fort the Frigatebirds will fly over within twenty feet allowing very close views. On the way out to the island I was able to find some Northern Gannets including two adults, I had only ever seen young Gannets in the past. The park has installed a fresh water fountain in the fort to help migrating songbirds survive. Although I was a little early for spring songbird migration I was able to watch many Northern Parulas and Palm Warblers take baths. The island is fairly small so finding birds is not all that difficult and with so many birds a trip to the Tortugas is a must for every bird lover. 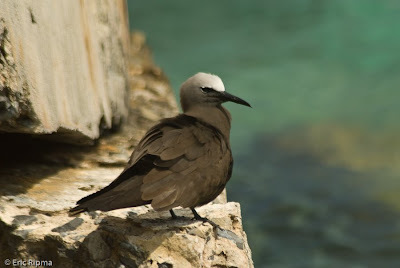 ...love the Brown Noddy photo. Sounds exciting...and beautiful. I'm putting it on the list of places to go for birds! I am not sure I've ever seen a frigatebird in person, but I love photos of them. This is definitely no exception. Wonderful! These are all new birds to me - I especially like the Brown Noddy. I love the third picture with the background of the blue sky. I like the angle you took the arches photo from...and all your bird photos are GREAT too. beautiful shots...is that where the thomas jefferson fort is? i have a friend who visited there not long ago and says it is a great spot to see. plans in future to go:) thanks for sharing. Great shots, I love the one of the fort, wow. Love the birds and the fort, i would dearly love to see so many birds all together. Nice shots, and beautiful birds! I know the frigatebird, the others are unknown to me. The angel of the arches of the fort is great! Beautiful photos and a great description of the Tortugas. I'm putting this on my Bucket List. You have some very nice pictures, Thanks. Your photos are amazing! Looks like a great place to visit. Beautiful birds and a lovely sky!! Brown noddy and sooty tern!? What wonderful names - they sound like names for British pubs. The photo of the fort is fantastic - I love the composition & color - it's great! Great birdies and blue skies! 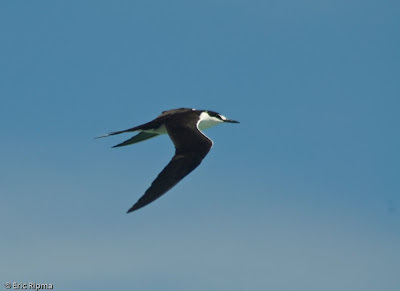 I get really excited when I spot a magnificent frigatebird soaring - they really DO look "magnificent"
Very nice shots! The Noddy is my favorite. 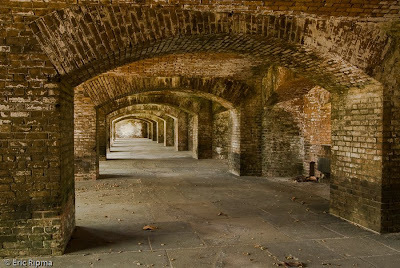 I would like to visit the Dry Tortugas someday. So envious of your frigatebird and sooty tern! Not so many sea birds here in Minnesota - but I saw wonderful quantities of shorebirds on a recent trip to northern California (my childhood home). The bird pictures are wonderful, of course. But I really dig that photo of the fort.